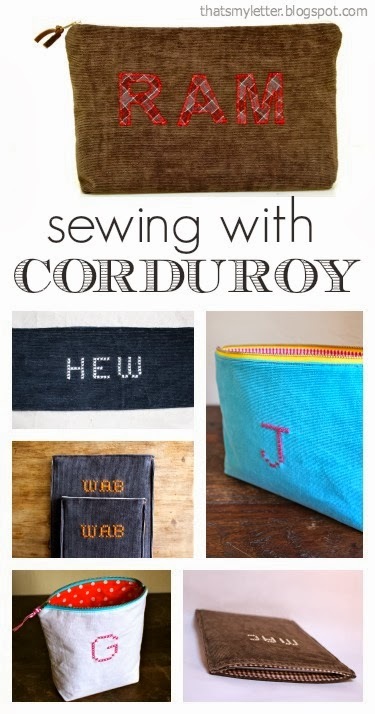 Fine wale corduroy is a favorite fabric of mine and today I’m sharing a few sewing projects you can make using corduroy. 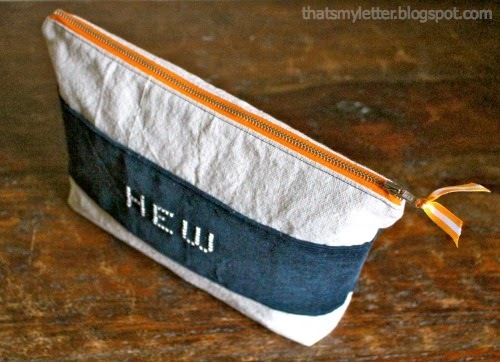 Save those worn out corduroy pants because you can repurpose them into a useful pouch. 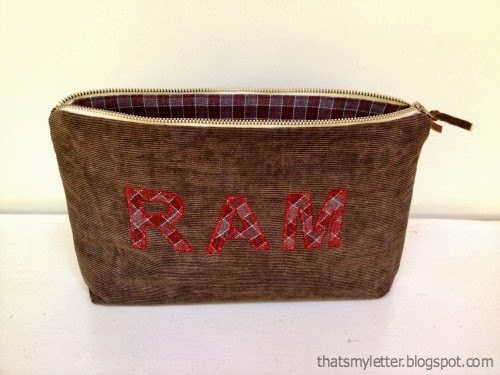 Brown corduroy with an appliqued monogram, metal zipper and flannel lining make for a very masculine pouch that any man would appreciate. 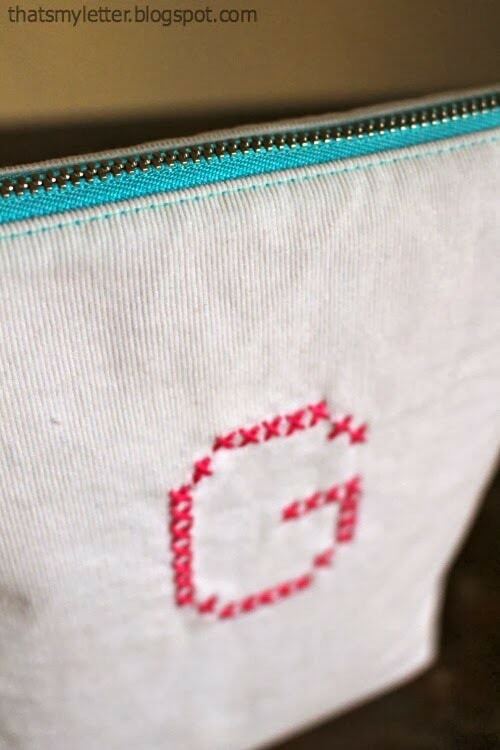 Here I combined corduroy panels with drop cloth, another favorite fabric of mine, and added a cross-stitched monogram. 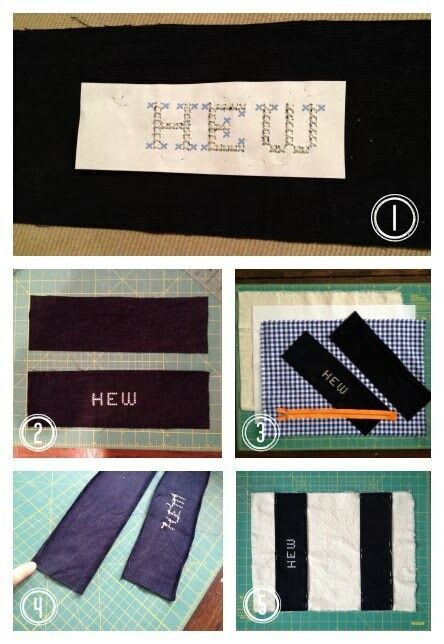 Step 1: Print the letters using monogram KK font. 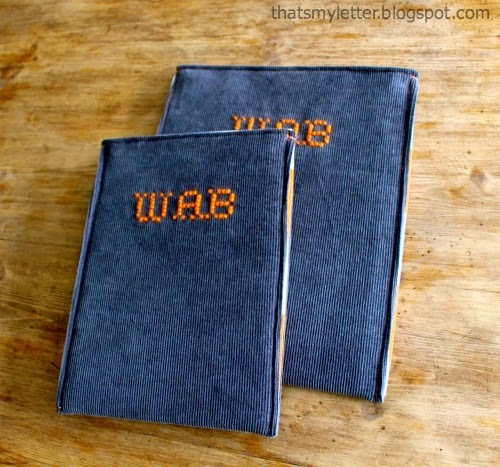 Pin paper to corduroy panel and cross-stitch directly over paper. 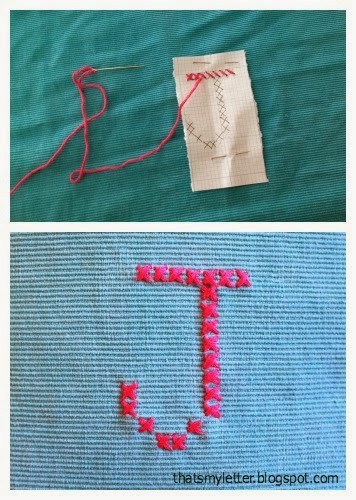 Step 2: Carefully remove the paper. 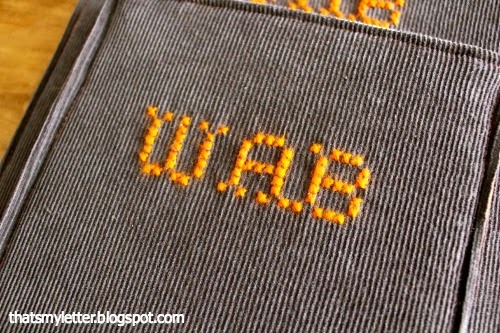 Step 4: Press under raw edge of corduroy panels. 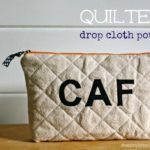 Step 5: Pin in place on drop cloth main body piece of pouch and top stitch. 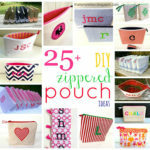 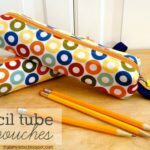 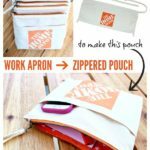 To finish sewing the zippered pouch pick any tutorial here. 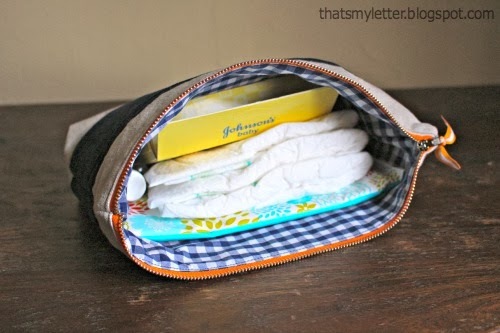 This pouch was for a new baby. 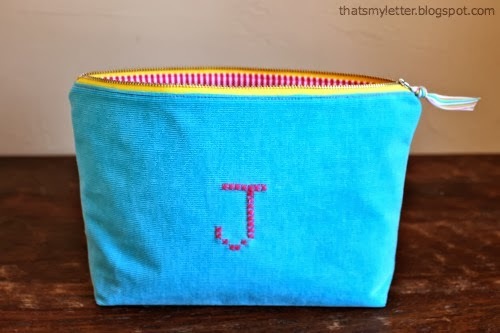 Use bright turquoise corduroy (a favorite shirt of mine from high school), contrasting yellow metal zipper, bright pink single letter monogram and pink/white striped canvas lining. 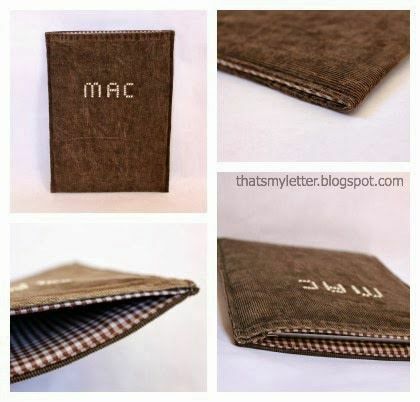 The complete post on how to make this ipad case is here.